I really love BarryM Dazzle dusts. I have almost 40, and I plan to swatch every single one for you. These were the first ones that where in my reach. Orange, Silvery Black and Parrot Green. I love using BarryM for fancy dress/show make up. I do a lot of shows and attend a lot of dress up parties and these really do the trick. What I love about BarryM Dazzle Dusts is how buildable they are. I find that they're slightly sheer to begin with, but I'm always able to build the colour so it's more intense. 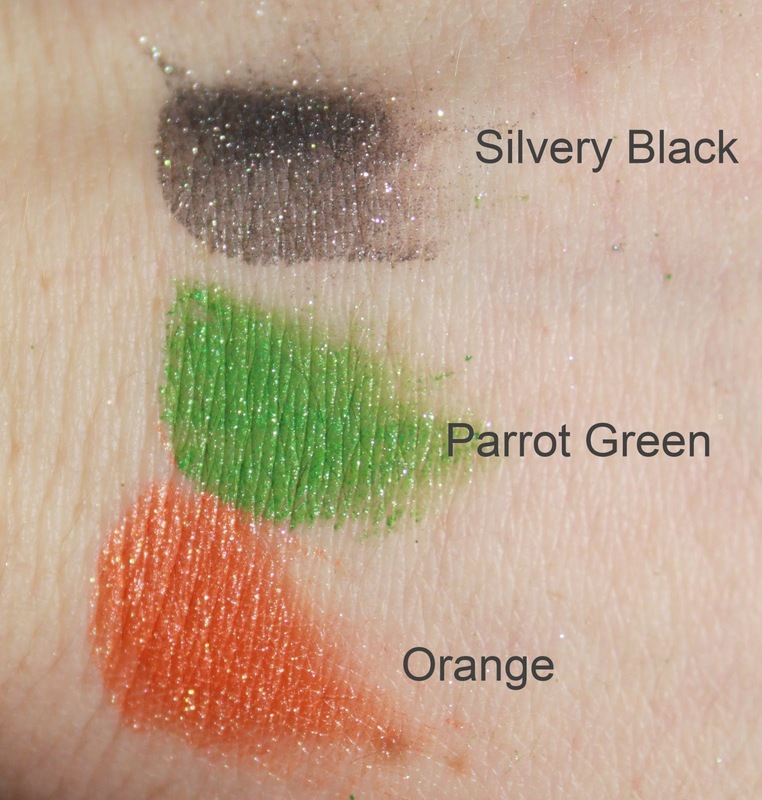 BarryM Dazzle Dusts are my favourite 'colourful' eye shadows on the high street, at only £4.59 a pop you can't complain. I don't tend to use them for everyday make up, but I love them for more fun looks. You get so much colour in the pot too, they really are a god send. When using these I always wear primer, and I always have trouble with fall out when applying. Once applied though, I have no problem with fall out. 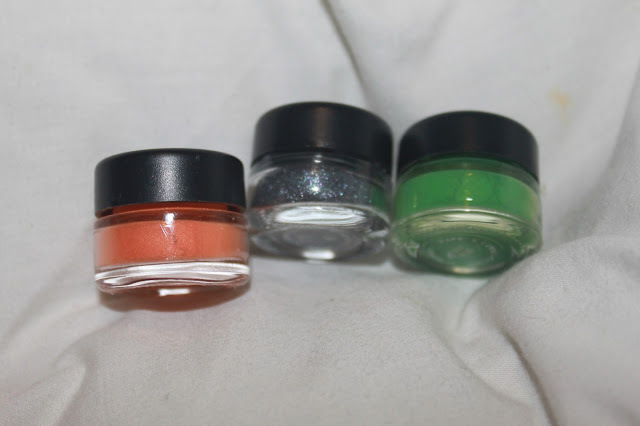 Here are the swatches from these 3 colours.